Kyle Field, site of today's Kansas-Texas A&M game, is considered to be one of the swingingest and swayingest college football stadiums in the country. College Station, Texas ? The entire structure sways. No joke. Members of the media who sit in the Kyle Field press box, some 125 feet above the home field of Texas A&M’s football team, are warned with a sign at their seat that the massive structure will move significantly while fans sway back and forth in unison during the traditional Aggie War Hymn. Rookie scribes will chortle upon seeing the warning. They’ll freak out upon living it. 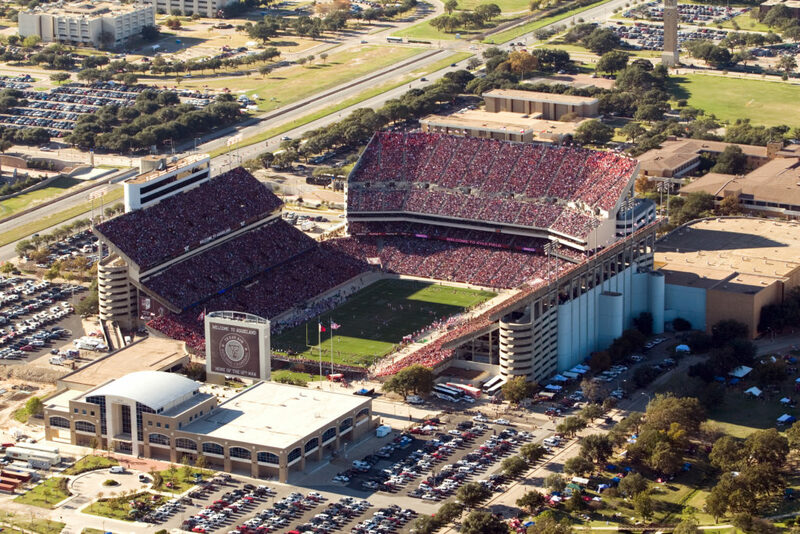 It’s just one way in which Kyle Field – capacity 82,600 – stands out from most venues in college football. Kansas University is taking a 7-0 record and No. 12 national ranking into today’s 6 p.m. contest, which will be played in the intimidating night atmosphere with ESPN2 cameras focusing in. Texas A&M, at 6-2 overall and 3-1 in Big 12 Conference play, is tied atop the Big 12 South standings. Kansas, at 3-0, is leading the Big 12 North. Today’s showdown could have huge say in the Big 12 race, so it’s only fitting that an epic atmosphere surrounds it. 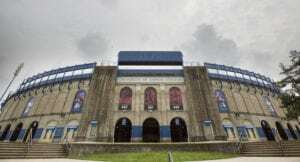 The fact is, none of KU’s players ever has played at Kyle Field. 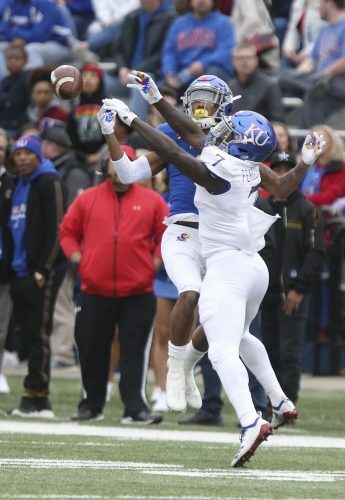 Due to the rotation of inter-division scheduling, Kansas plays at Texas A&M once every four years and hasn’t been there since quarterback Adam Barmann’s college debut in 2003, a 45-33 Aggies victory. But with KU featuring 26 Texas natives on its roster, several players have been there swaying in the stands. Quarterback Todd Reesing went to a few Texas-Texas A&M games when he was younger. Drew Dudley, a freshman linebacker, grew up in College Station. Sophomore utility player Kerry Meier attended a game there in 2004 on a recruiting visit. Ryan Cantrell, KU’s starting center, went to several games having grown up in nearby Sugar Land, Texas. Cantrell admits, though, that he’s looking forward to the experience, which is constantly praised. ESPN’s Kirk Herbstreit listed Kyle Field as the best atmosphere in the nation. CBSSportsLine.com called it the best stadium in college football, beating out the home turfs of Notre Dame, Tennessee and Florida. Naturally, the intense crowd noise gives the Aggies an advantage in every game. Texas A&M is 110-23 in College Station over the past 20 years, though the Aggies are just 14-17 in that period against Top-25 teams, as Kansas is now. The noise is a nuisance for opposing offenses and useless for opposing defenses. 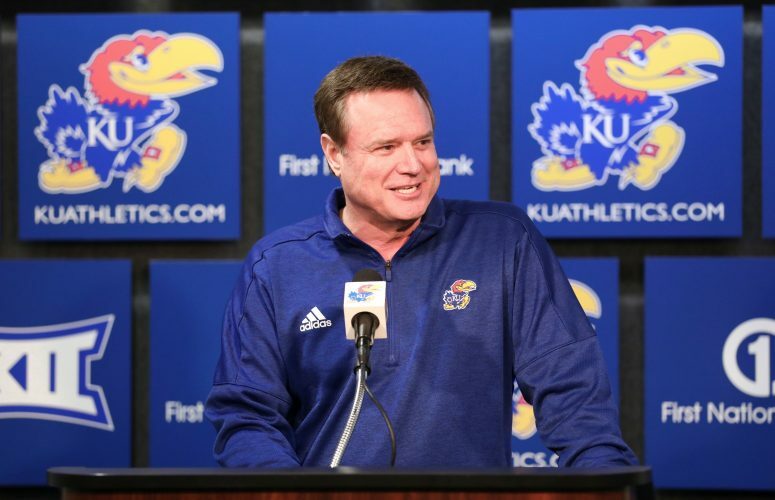 But it doesn’t make matters impossible, and the Jayhawks’ 2-0 road mark this season is a sign they’re not intimidated. 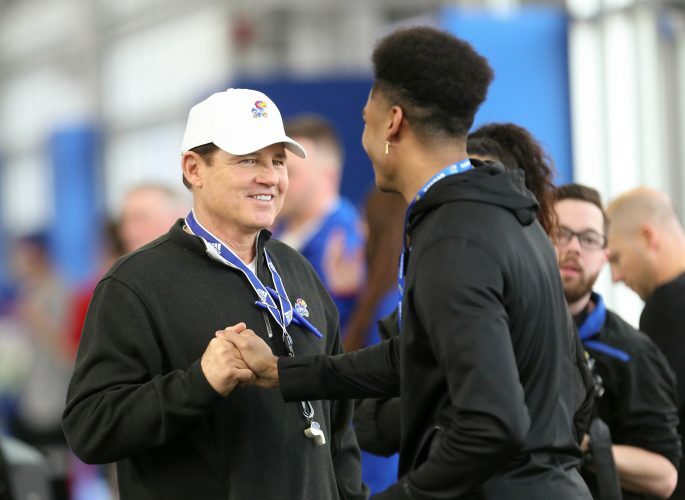 For many Jayhawks, the presence of friends and family will be a bonus for playing back home in Texas. Cantrell, for one, expects about 25 people in attendance for him, among the 70,000-plus expected to be there. Don’t think for a second, though, that playing in front of loved ones makes a difference in Cantrell’s desire to win. And doing so at Kyle Field? Hey, that’s both surviving and thriving. 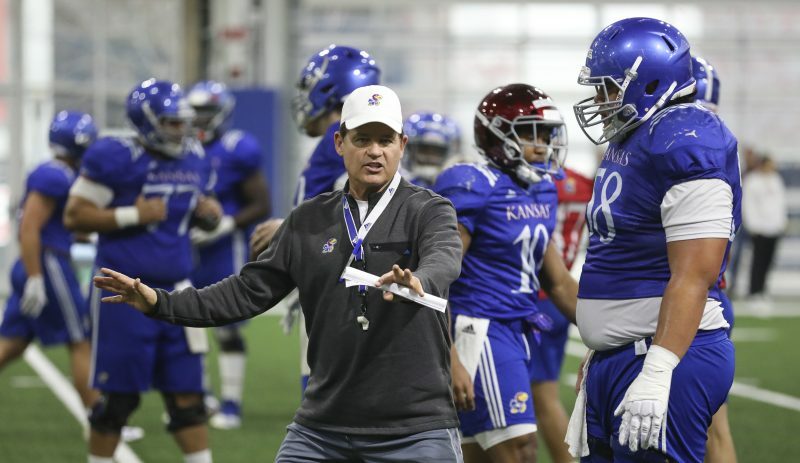 “These are the reasons why you play Division I football,” Mangino said. “You not only want to win at home in front of your own fans, you want to go out in opposing stadiums and win.